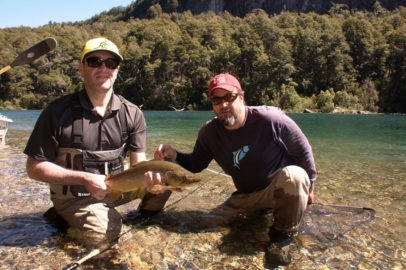 Situated on beautiful Lago Rosario just outside the quaint Welsh settlement of Trevelin and spectacular Los Alerces National Park, this full service lodge has combined the best local guides, most productive waters, and comfortable, accommodating programs to provide a whole new catalog of fishing and non-fishing tourism in this time-forgotten region of Patagonia. 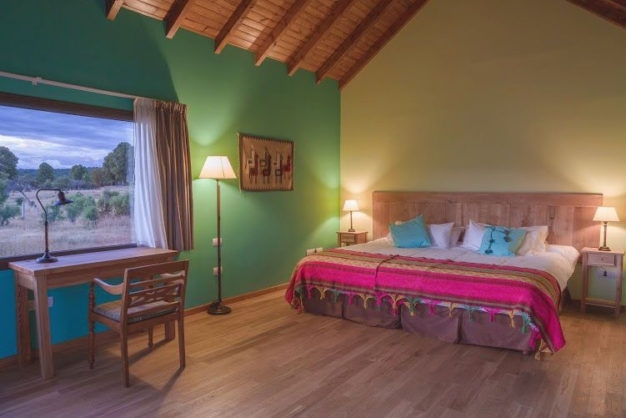 The lodge's exceptional rooms and amenities are designed to host up to 12 guests per week, and from the time of arrival to the time of departure at the airport each guest will find their every need taken care of in advance, leaving nothing but relaxation and enjoyment to be found throughout the days between. Lago Rosario Lodge sits directly on the spine of two enormous aquifers, right in the middle of one of the most prolific and productive mazes of tout water on Earth. 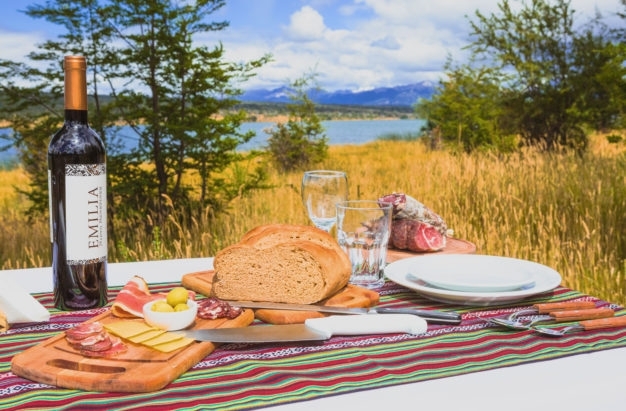 From our vantage point in the center of Chubut Province Argentina, an innumerable network of clear flowing waters drain the Andes to both the Atlantic and Pacific oceans on either side of the Patagonian landmass. 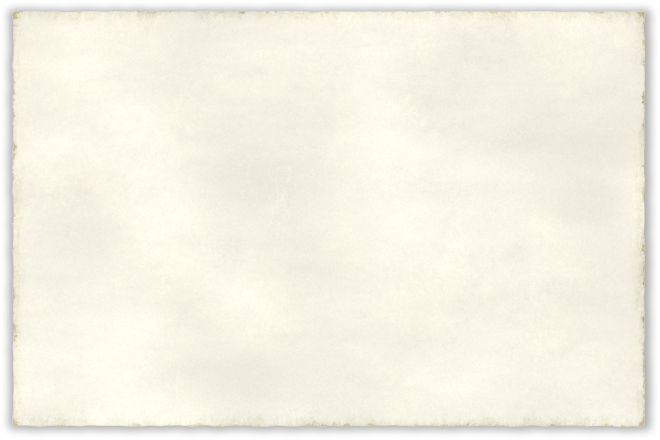 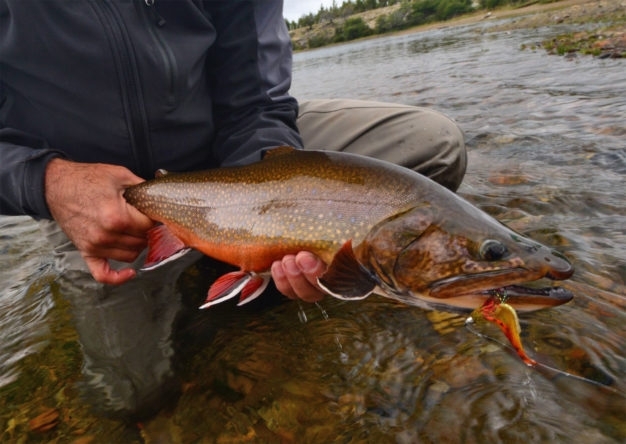 And the best part is, these waters are filled with fish. Rainbow Trout, Brown Trout, Brook Trout, Landlocked Salmon, and Pacific Kings fill our area’s watersheds to the brim. 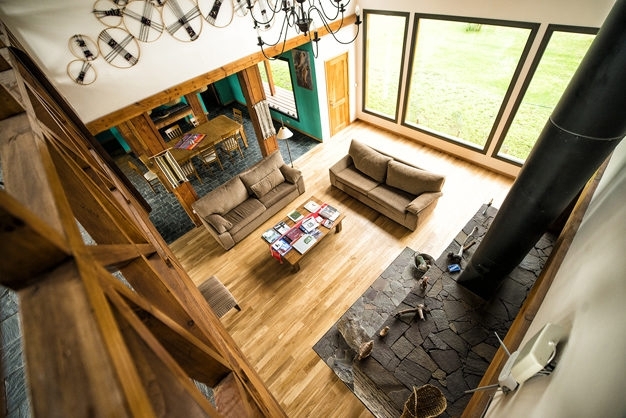 A short ride to the North of the lodge is the quaint, idilyc, and seemingly time-forgotten town of Trevelin, originally and largely still an agricultural settlement of Welsh immigrants who sought at the turn of the century to escape the ruling class of England and start anew in the southern hemisphere where they would be free to maintain their ancient language and customs in peace. 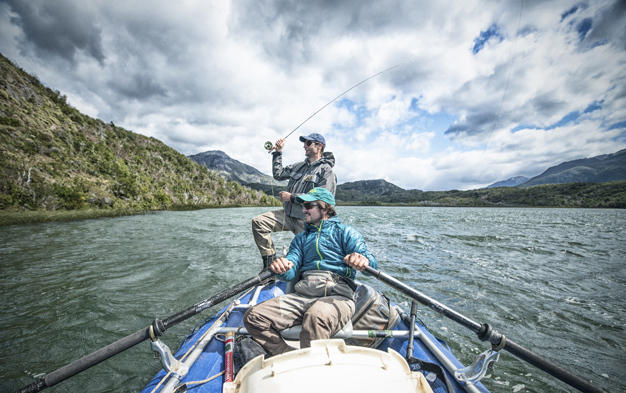 Directly to the West is one of Argentine Patagonia’s greatest natural wonders, the enormous and still pristine Los Alerces National Park, home to its own famous trout waters including the Rio Rividavia, plus a wide variety of lakes and streams, and providing a safe home for some of the oldest examples of Fitzroya cupressoides or “alerces” trees, a species of redwood, still living today. 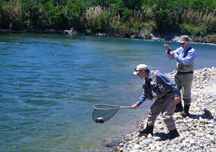 The southern border of this park also sits along the famous Rio Futaleufú, otherwise known as the Rio Grande. 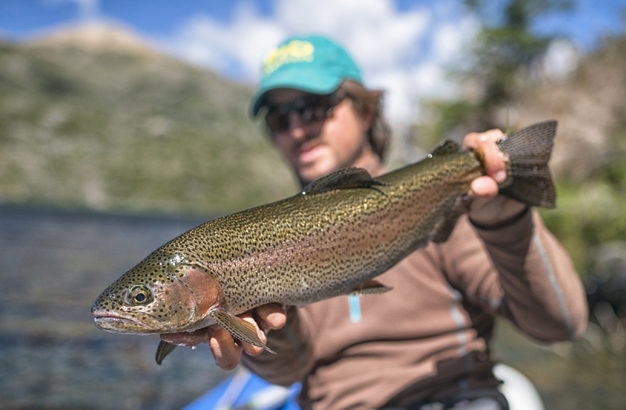 To the East is the arid Pampa, through which flows the Rio Chubut and a large web of spring creeks like the world-famous Arroyo Pescado, where rainbows and browns rise to the wide variety of mayflies, caddis, and terrestrials which make up the majority of their daily diet. 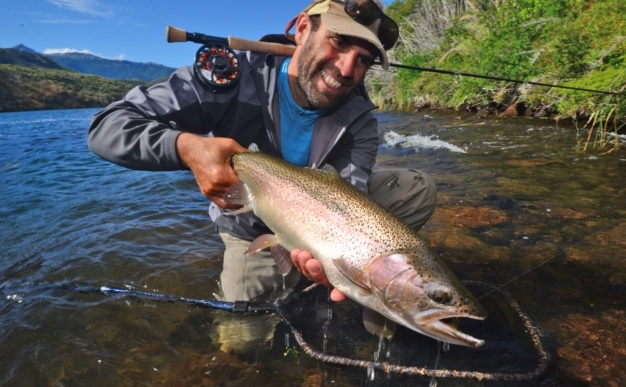 And to the South runs the Rio Corcovado and all its tributaries, offering both whitewater adventure and excellent fishing for all three species of trout plus Pacific Kings to any who dare brave its rapids and partake of its spectacular vistas. 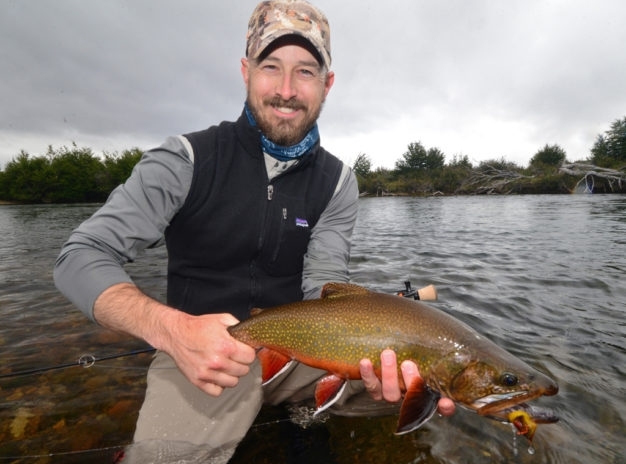 Fishing in the watersheds around Lago Rosario Lodge is as varied as the landscape itself, with opportunities for everything from delicate presentations of small natural mayfly imitations on spring creeks to dredging the depths and undercut banks of raging rivers with six inch long streamers on sink tips. 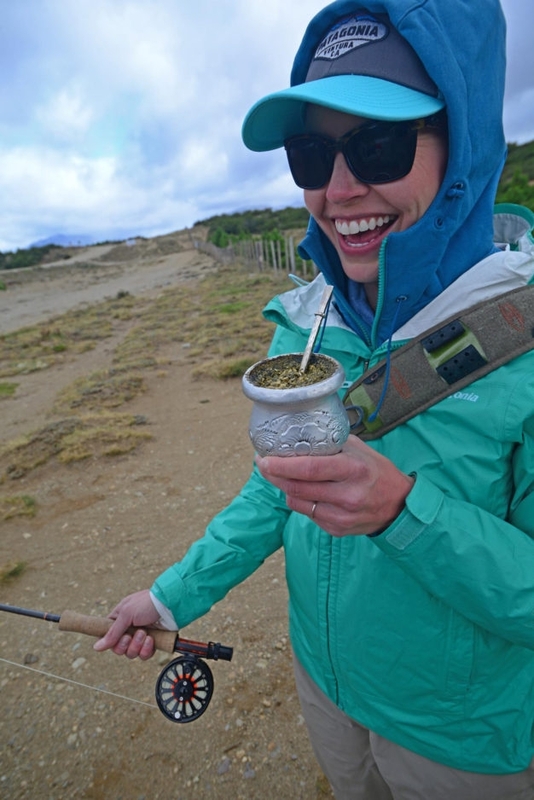 Our fishing programs are designed to offer a variety of different environments and experiences for each guest during their stay with us here in Patagonia, and depending on weather and current conditions may change slightly throughout the year. 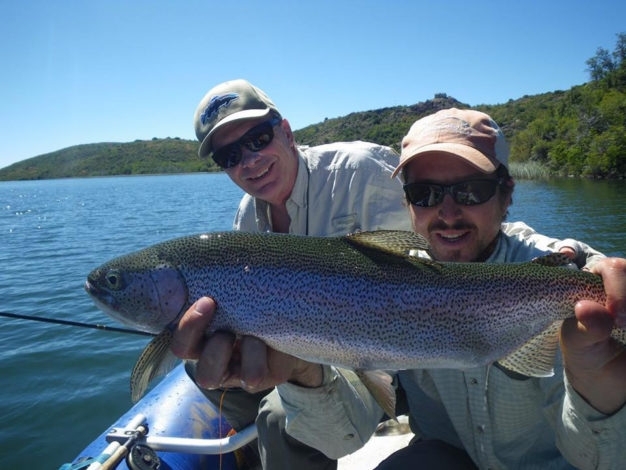 Our team of experienced local guides keeps constantly abreast of what is happening out on the water and are always aware of what is fishing best, and what is producing results on each given stream, river, and lake that we fish. 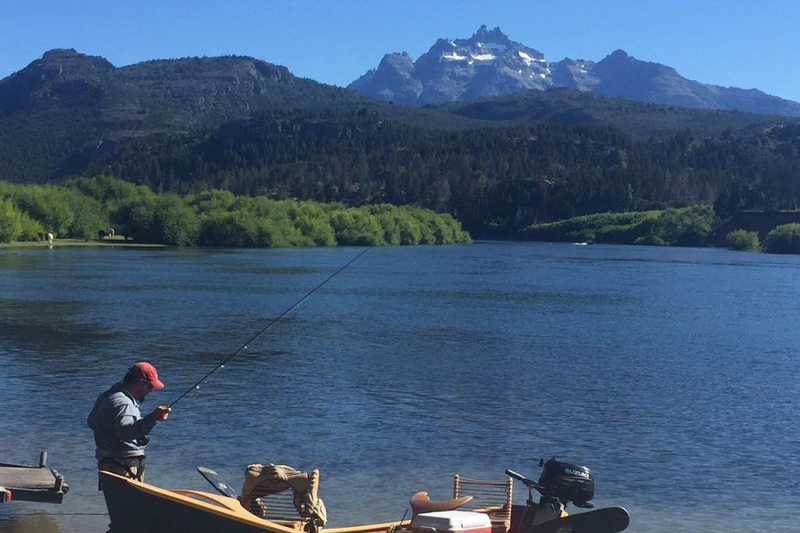 A mix of wading and boating is standard fare, and regardless of what environment we are fishing on a given day the scenery is always guaranteed to be as spectacular as the fishing itself. Fishing days include one guide and one assistant-guide per two anglers on the water, all necessary instruction, flies and terminal tackle, beverages and snacks throughout the day, as well as a seated streamside lunch. Waters we commonly fish (at least the ones we are willing to name) include the Rio Futaleufú, Laguna Willmanco, the world famous Arroyo Pescado, Arroyo Nanty Fall, Rio Corcovado, Rio Corinto, Rio Rivadavia, Rio Arrayanes, and Lago Kruger. 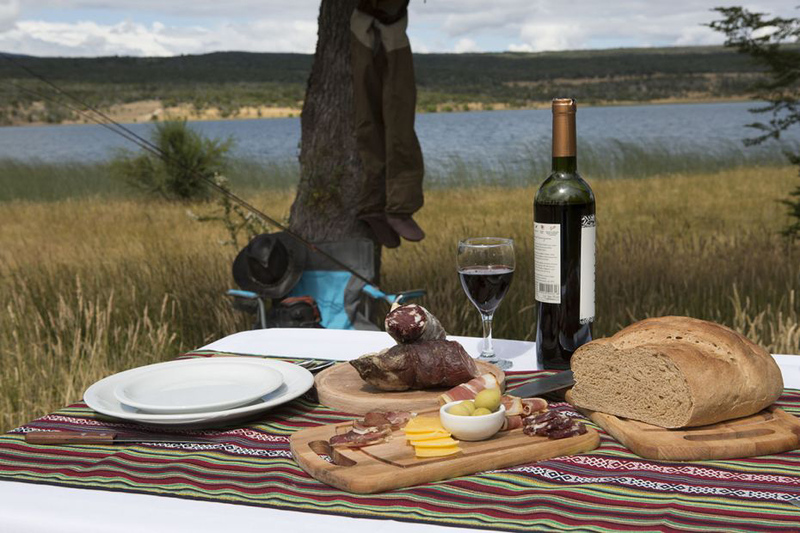 Lago Rosario Lodge is a full service fly fishing and tourism operation, designed from its very beginnings to provide the utmost comfort and enjoyment for up to eight guests at a time during your stay with us in Argentine Patagonia. 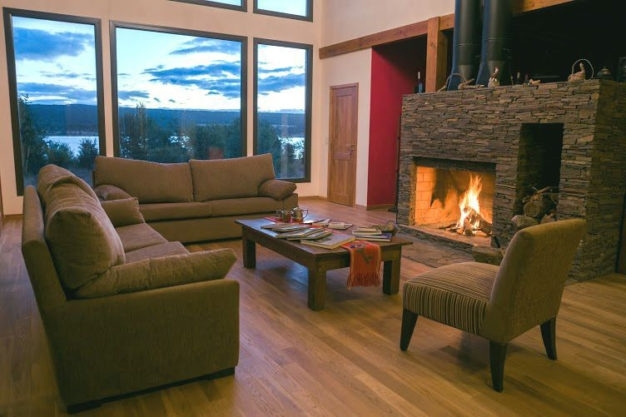 Spacious living quarters and well appointed common areas combine with the beautiful surroundings and spectacular views to make this the perfect setting for your next austral hemisphere adventure. Our polite and service-oriented English speaking staff will make it their top priority from the moment you arrive to ensure that every your need and whim is satisfied in full. 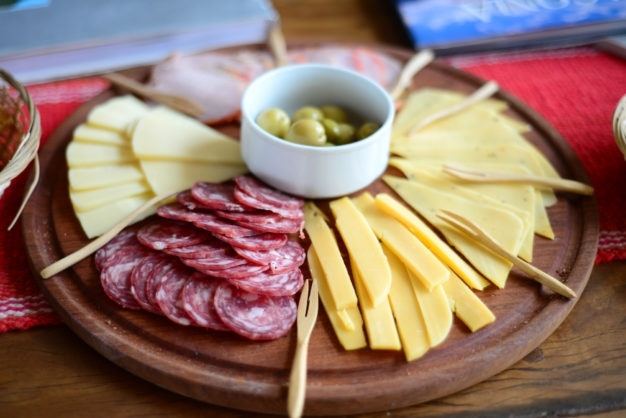 Meals are prepared daily by our own executive chef, and a full open bar with snacks is available to guests at any hour of the day. 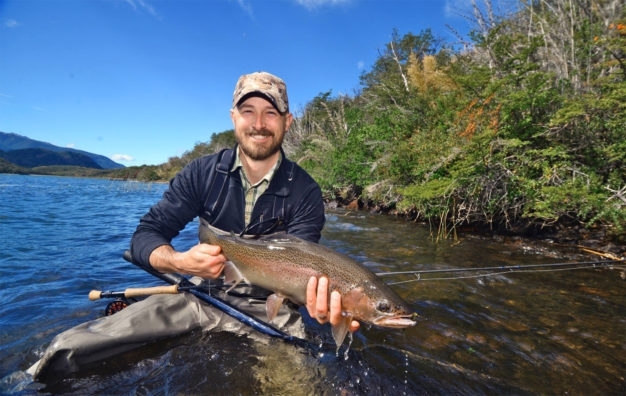 The lodge is also centrally located not only within the heart of Patagonia’s best fishing, but surrounded by non fishing activities and opportunities for the entire family as well. 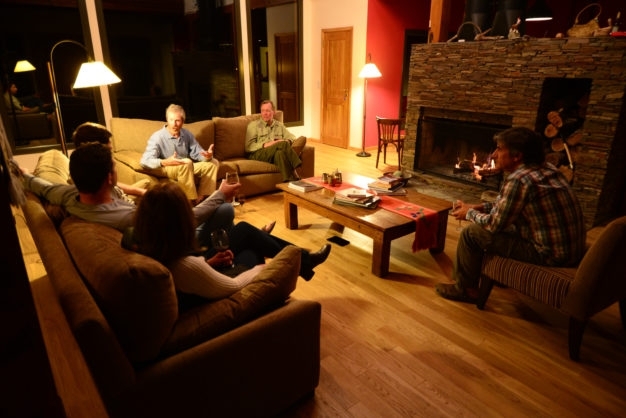 Hiking, biking, birdwatching, whitewater rafting, kayaking, horseback riding, museums, restaurants, and shopping are all to be found either right outside the doors of the lodge, or only a short distance drive away. 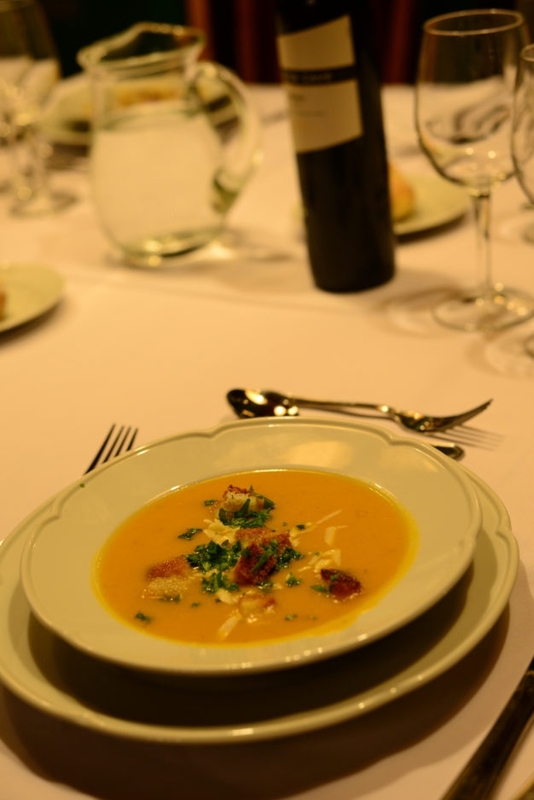 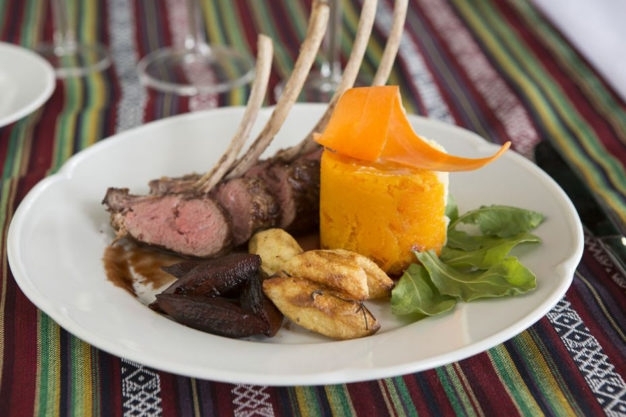 Lago Rosario Lodge's two executive chefs and in-house catering team bring a perfect blending of flavorful styles to the table from Patagonia to Buenos Aires and the international culinary world beyond. To say that this lodge takes food seriously would be an understatement. 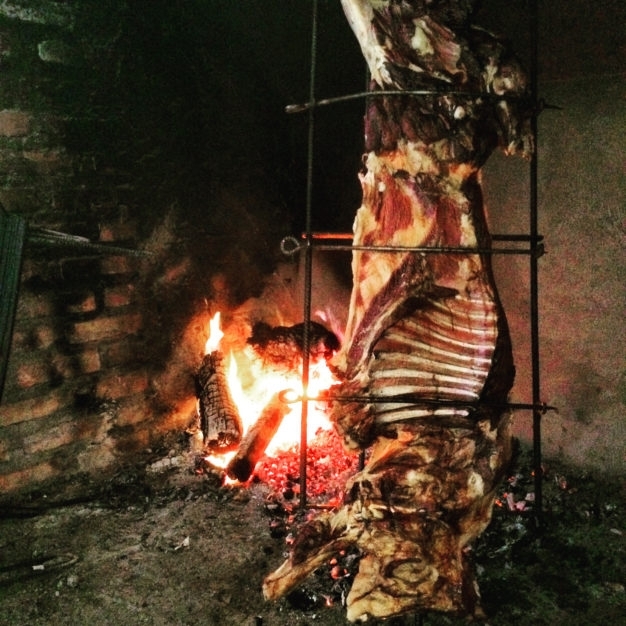 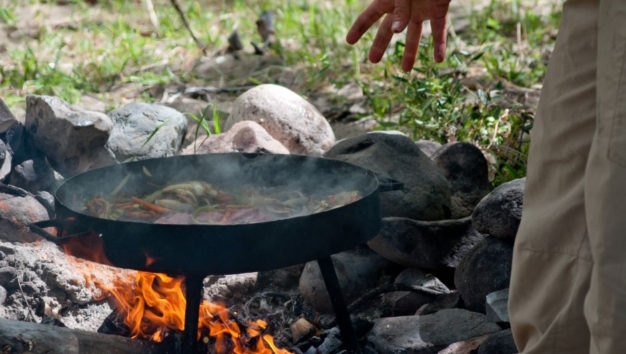 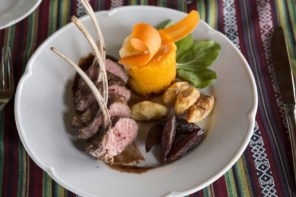 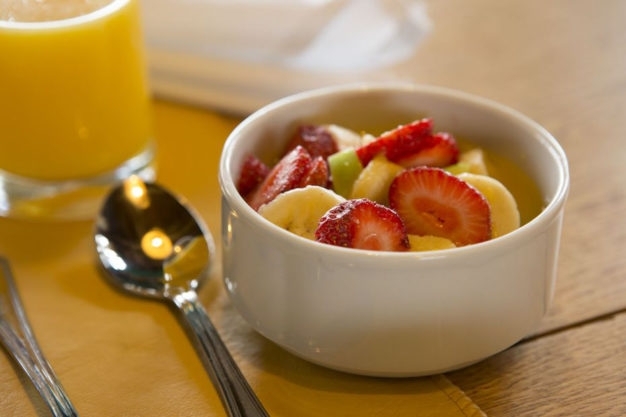 Fresh local ingredients are transformed throughout the week into spectacular breakfast spreads, seated lunches out on the water, and three course dinners in the lodge, all culminating in a traditional Argentine lamb asado at the end of each tour. Flights for the Lago Rosario Lodge program should arrive in Esquel, Argentina (Airport code ESQ). 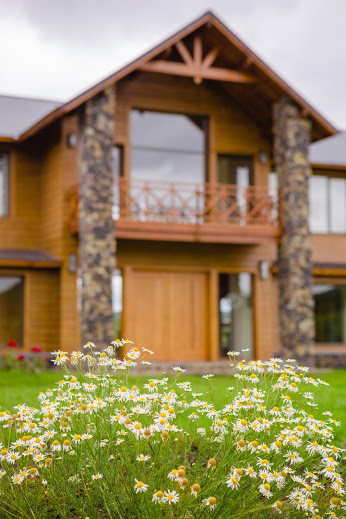 You will most likely arrive in Argentina by landing at Buenos Aires International Airport (EZE) and we will provide a private ground transfer service across the city to the domestic airport (AEP) for your flight down to Patagonia. 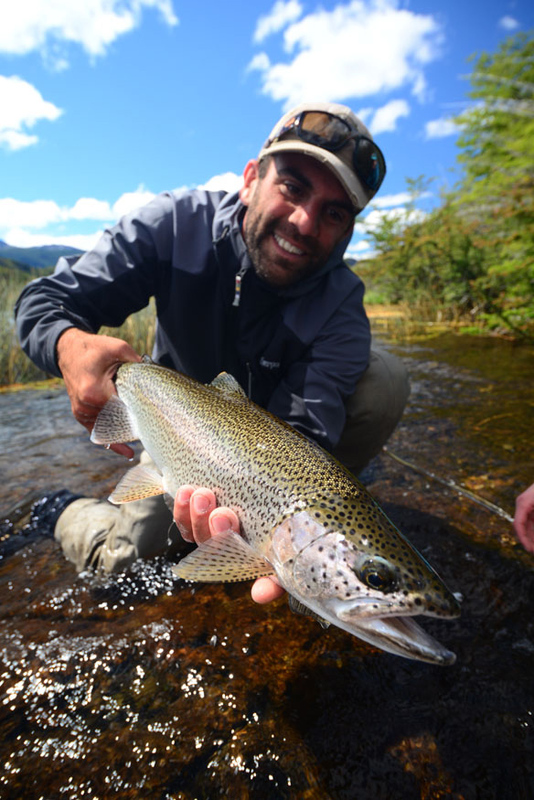 CONTACT US TODAY for help planning your flights and other travel arrangements to come and see why Lago Rosario Lodge has become the hottest new fly fishing destination in Argentina! 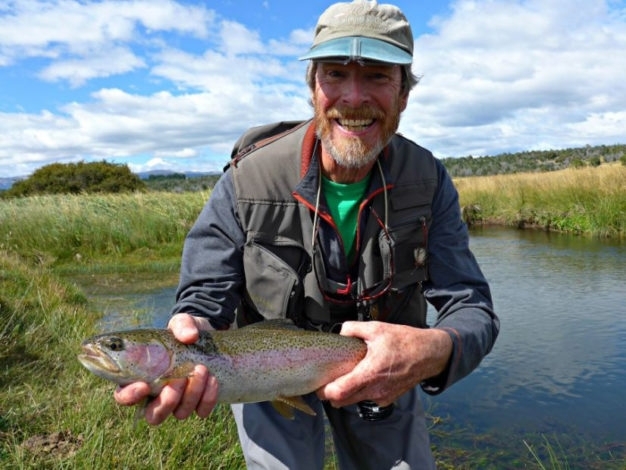 Lago Rosario Lodge is open every year from November 1st through May 1st. 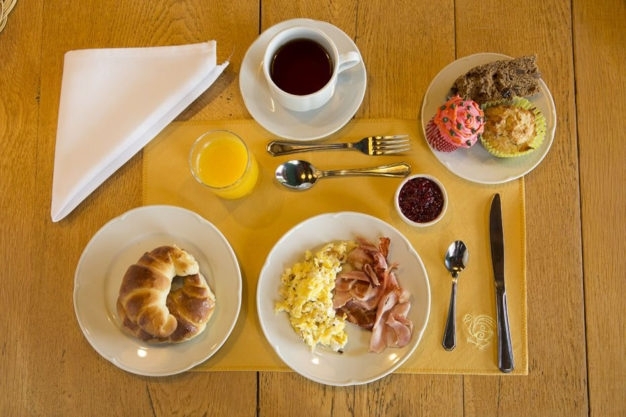 Package rates (quoted in US dollars) are per person based on double occupancy, and include everything except flights, laundry, international telephone service, specialty liquors, and guide/staff gratuities. 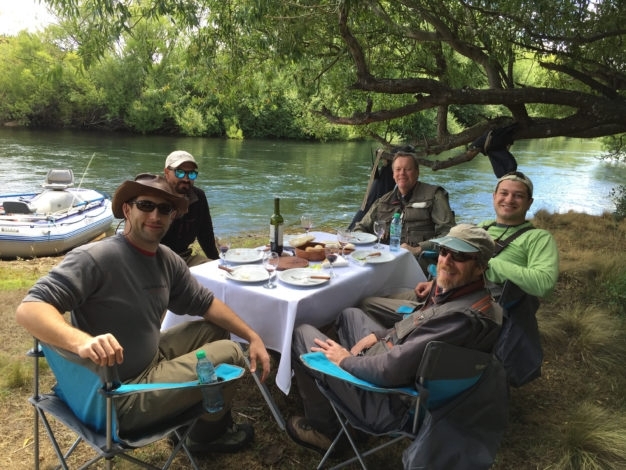 Custom packages are also available; CONTACT US TODAY to get started planning your trip to see why Lago Rosario Lodge has become the hottest new fly fishing destination in Argentina! 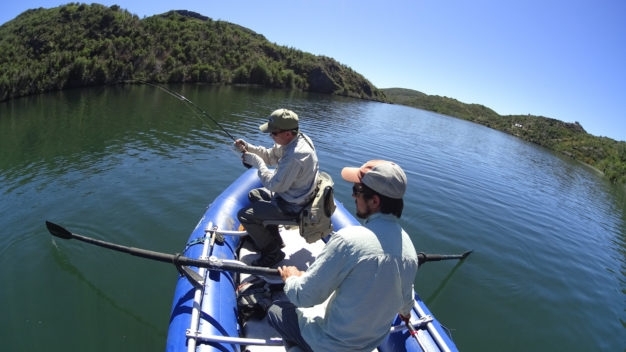 Contact us today for available dates and details, and get started on your way for this dream-trip of a lifetime to Lago Rosario Lodge in beautiful Argentine Patagonia!